Write a two page letter introducing yourself to your swap partner and include 5 washi samples you like (18 inches each sample). I've also made this a Type 3 swap so please decorate your envelope and letter as well. Get creative with it! Tell your swap partner about the washi you collect and why the washi you have included are your favourites. Talk about your favourite brands, where you shop, and what you use your washi for! It's always fun to share resources and tell people about new places to shop for washi. Who knows? Maybe you'll find a new favourite brand or shop for yourself! 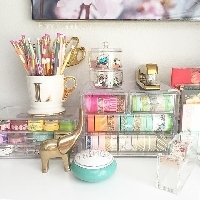 Maybe you'll even find yourself a new pen pal who shares your love for washi! This is an international swap so please mind that mail might take a little while to arrive. Please rate a 5 if you receive your washi decorated letter and samples in a decorated envie. We shouldn't rate low if we receive something we don't like. If your swap partner doesn't fulfil the swap requirements, drop them a message before giving them a low rating. I'll be able to angel this swap but you must first rate your partner. This swap is open to newbies as long as your profile is filled out and complete. I will be monitoring participants to make sure of this. This is supposed to be a simple fun swap so let's all try to make sure our swap partners receive some really happy mail! Very much interested but wonder if would be allowed to type my letter to my assigned partner. I have some arthritis that makes it difficult to write and by the end of the letter.... well.... :) you would not be able to read it. Let me know so I can jump in or not!